HIV has impacted many lives in South Africa, both directly and indirectly. I discovered this during my pre-service training and I’ve noticed it more and more during my time working as a health Volunteer. I work with a local organization led by a married couple who place great emphasis on dealing with health issues both spiritually and medically. After witnessing children eat food from bins while driving through my community, the couple sold their house, built a church and began implementing community projects. This organization provides basic meals to local children who need them, and teaches them life skills such as gardening, sewing and hygiene. The pastor of the church often partners with me to implement various health-related projects in our area. His name is Mxolisi, and he believes it is especially important for the church members to be aware of HIV’s impact on the community. Mxolisi has seen the stigma attached to HIV, particularly in the church, which often goes unspoken or unacknowledged. Many church members put up a façade that everything in their community is fine, and can be overly critical and less informed about health-related issues associated with HIV. Some members avoid the topic completely and don’t realize that their behavior has a negative effect on others. 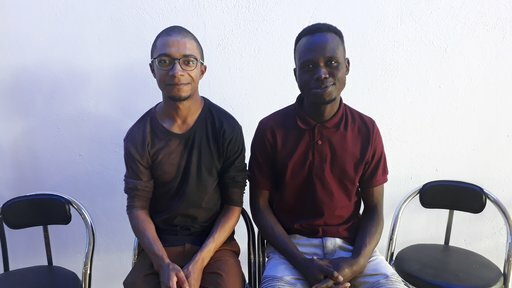 Joseph and Mxolisi work together to foster a sense of inclusiveness in their community. Every three months my organization sponsors workshops for youth where they can get together, eat, learn and focus on their spiritual, mental and emotional growth. In early June, Mxolisi told me that we were planning one of these workshops for the following month. 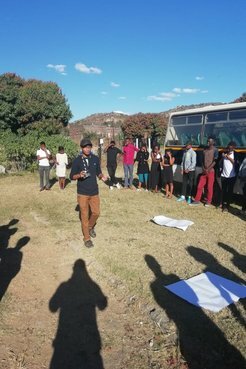 The first day of the workshop had sessions on HIV and stigma, team-building games, and ended with a motivational speech by one of our local community members. We emphasized the fact that stigma is made up of a combination of negative beliefs, fears and actions which combine to create stigma. We also discussed how stigma has been present throughout history and has been directed at those with health conditions such as HIV and mental health illnesses. 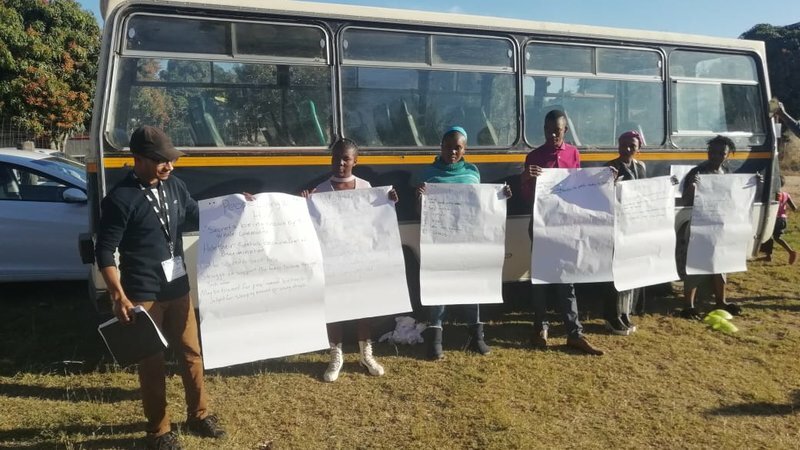 Joseph facilitated sessions on the first day of the HIV workshop that he planned with his counterpart Mxolisi and other community members. The beginning of the HIV epidemic gave birth to many myths about HIV, leading some to believe that it was a death sentence and was easily transmitted through things such as sharing food, sweat and other activities. These myths advanced stigma not only towards the sick, but also towards those around them, such as family members, friends, professionals and organizations. The end of our workshop focused on the modes of HIV transmission and ways to stay protected. Since fear, insecurity, stigma and discrimination can affect a person’s decision to get tested, as well as their decision whether to disclose their illness or look for support, we emphasized that we must be the ones to provide support. The participants were very receptive to the information, with most commenting that they didn’t realize there were so many levels where stigma occurred: whether it be internalized stigma, in the community, or within the government. We came to the conclusion that the workshop was a success because we achieved our objective of raising awareness. Beyond raising awareness, Mxolisi and I are proud that we worked to encourage these difficult and uncomfortable conversations. Together, we helped our community members become more inclusive and understsanding. Joseph is a HIV Outreach Volunteer serving in South Africa. He has a Bachelor of Science in health studies as well as a Bachelor or Arts in political science from the University of Rhode Island in Kingston, Rhode Island. In his spare time, Joseph enjoys reading, exercising, and playing video games.